New York, NY, March 29, 2018 –(PR.com)– Known as the "baddest man on the planet" from his days in the ring, Mike Tyson has begun a new venture on Tyson Ranch, which is releasing their first-ever product, CopperGel™. Tyson worked alongside co-owner and founder, Rob Hickman to create a powerful pain relief remedy. CopperGel is clinically proven to knock out pain, treating arthritis and joint and muscle pain. "As a retired athlete, my body has endured a lot of wear and tear. Copper Gel has helped relieve my muscle pain, so I carry it whenever I travel just in case I need it," said Mike Tyson. CopperGel™ is a topical analgesic gel infused with copper that is clinically proven for arthritis, joint & muscle pain relief. Copper has natural antioxidant and anti-inflammatory properties that have been used for centuries for healing. CopperGel™ is an FDA-registered, over-the-counter (OTC) medicine. CopperGel is The Copper Remedy For Pain Relief. 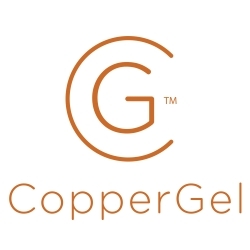 “We are excited to release CopperGel,” said CopperGel President Steven Krane. “Working alongside world class athletes like Mike Tyson, Brian Shaw, 4 x World’s Strongest Man and MMA superstars Cody Garbrant, Fabricio Werdum, and Hall of Famer Urijah Faber. These are world class athletes who know pain and can validate the pain relief of CopperGel. In addition to CopperGel, Tyson Ranch is also releasing CopperGel Ice. CopperGel Ice has all the same benefits of CopperGel, but also includes CBD (100% pure hemp oil). Studies have shown the advantages of using pure hemp oil for medical purposes including chronic pain. Now for the first time 100% pure hemp oil and copper is available as an over-the-counter (OTC) topical without a prescription. Tyson Ranch’s mission is to bring innovative marijuana and hemp related products to market. CopperGel is an FDA registered topical pain relief that is available without a prescription for $19.95.